The popular NDAC Night Dive dates are now available below for the first few months of 2018. The adventure, thrill and excitement of night diving can be yours on a NDAC Night Dive. If you have never been on a night dive before, you could consider joining on one of our PADI Night Diver Speciality Courses. Below are the dates for the Night Dives being run at the NDAC in Chepstow over the next few month, why not put these in your diary now! Special Offer – Dive For Half Price! 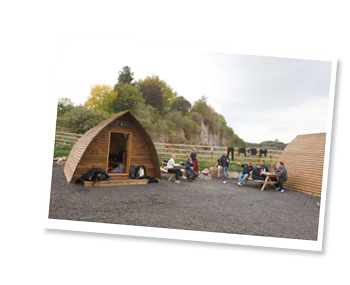 We have accommodation available at the Wooden Wigwam Village to help you go glamping in style and make a weekend of it at the NDAC. There are three types of cabin; Standard, Deluxe and even VIP with a hot tub! To book on our night dives give us a call on 01291 630 046 or contact us using our online form> Don’t forget your torches and we look forward to (just about) seeing you!